#Offer non food treats. This way no one misses out. Bubble mix, glow sticks, spooky stickers, colouring pages or small Halloween themed toys are always a hit! #Food treats in wrappers with a clear label of ingredients, treats made in Australiashould have clear labels and allergen statements for parents to read. Ask the parent to read the labels for you when you are offering food treats to children with allergies just to make sure. #Consider food treats that are not only nut free but dairy and wheat free too. Many children with allergies may have a dairy, banana, seafood or wheat allergy for instance, or any kind of allergy that is not nuts. Children with coeliac cannot have any wheat or gluten. #Don’t offer baked goods, which could have allergens. If you don’t live with allergies it may be difficult to be sure you are preparing safe food for children with allergies, it’s not worth the risk. # Ask the children’s parents if the children you are offering treats to have any food allergies, before offering treats. Up to one in ten children in Australiahave a food allergy. If you or your child has a serious allergy and is at risk of anaphylaxis, always carry your epipens when you are out and about. And always double check ingredients on the label, sometimes manufacturers do change ingredients. # Be allergy aware, don’t share. It’s a good idea to promote allergy awareness amongst all children. Swapping treats without checking isn’t safe. Always encourage to children to check before swapping any food treats. And remind children not to swap sweets or food at school! 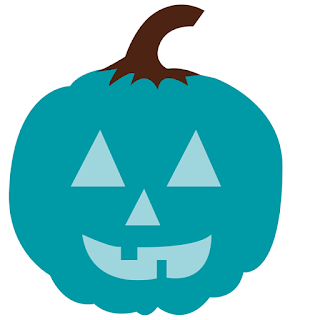 What are teal pumpkins and what is the teal pumpkin project? Have fun and keep safe this Halloween!